Our article on five reasons to jailbreak your iPhone got a tremendous response. I've received many requests for an article walkthrough on how to jailbreak your iDevice, so let's get started. If you haven't already, upgrade your iPhone's firmware to the latest version (3.1.2). Also make sure your device's baseband firmware reads 05.11.07. To verify both of these software versions, head to Settings > General > About. The iPhone firmware will be labeled 'Version' and the baseband will be labeled 'Modem Firmware'. Back up your data in iTunes. Once you've verified both software versions and performed a data backup, we can move on the jailbreak process. Head over to blackra1n and select the OS you're using; Windows or Mac. Connect your device to your computer and run the blackra1n application. A dialogue box will appear, click 'make it ra1n'. Your phone will enter recovery mode, showing the 'connect to iTunes' screen. Soon after, your iPhone will reboot with a picture of Mr. Blackra1n himself. During this stage, your phone will be jailbroken through the blackra1n application. Do not disconnect the device during this process. 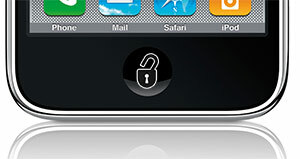 Once it has completed, you'll see the 'Slide to Unlock' screen. Somewhere on your home screen, you'll find an application called "blackra1n". Run it and install Cydia. and ask you to select which version you'd like to install. For the most user-friendly and easy-to-use version, select the 'User' interface. Once Cydia has finished updating, you'll find a list of applications under the 'sections' tab. If you've done some research or checked out our application favorites, you can find applications on the 'search' tab. To uninstall or update an existing Cydia application, select the 'manage' tab and choose 'packages'. If you haven't already changed your phone's root password, the first application you should download is MobileTerminal. Once you've installed and launched it, follow the steps below to prevent your phone from being hijacked. 1)Type su and hit return. 2)It will ask for your current password. By default, your password is alpine. The cursor won't move as you type during password input, but it will register. Type alpine and hit return. 3)Type passwd and hit return. 4)It will ask you to enter a new password. Enter it and hit return. 5)It will tell you to confirm the new password. Reenter your password, tap return, and you're all secure. If you've got no clue where to start your applications search, we can suggest five. This jailbreaking process is seamless and the results really are worth the work. If you're going to try it out, let us know how the process goes. If you ultimately find jailbreaking isn't for you, a software restore will bring your phone back to stock.